The City of Cape Town was named the top financial centre in sub-Saharan Africa on Friday, overtaking South Africa's traditional centre of finance and commerce - Johannesburg - for the first time. The Global Financial Centres Index by Z/Yen Partners and the China Development Institute ranked Cape Town 38th on the overall global index, while Johannesburg is at 57. 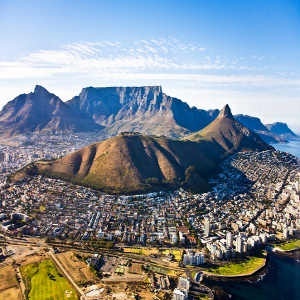 In a statement, Wesgro, Cape Town's tourism, trading and investment promotion agency, welcomed the ranking, which placed the city ahead of Mauritius as well. Wesgro CEO Tim Harris said, "Too often, Cape Town and the Western Cape are viewed only as leisure destinations. This report confirms that we are so much more, and that we mean business. "If you are a global investor, you should be considering the Cape now more than ever before." Cape Town Executive Mayor Patricia de Lille said the ranking was a recognition of the metropolitan municipality’s efforts to become "a forward-looking, globally competitive business city". "The City’s funding of Wesgro and other special purpose vehicles is a catalyst for sectors that are showing the best promise to attract investment, grow jobs and the economy," said De Lille. Western Cape member for the executive committee for economic opportunities, Alan Winde, said Cape Town had recently been identified as the tech hub of Africa, making it an attractive space to do business for financial technology companies. "We have seen remarkable growth in the Western Cape finance sector in recent years, as more companies choose to base themselves here. The Western Cape is also home to several of the country’s top universities, ensuring that there is a pipeline of skills and talent," said Winde. PricewaterhouseCoopers recently ranked Cape Town highest on the continent for quality of life, economics and the "tools needed to succeed in a changing world".